WILLIAM WELD ran for governor of Massachusetts in 1990 on a platform of unabashed libertarian conservatism, and for one brief shining moment after taking office in January 1991, he actually seemed to mean it. In his inaugural address, he declared that the people of Massachusetts had "voted to disenthrall themselves from the failed dogmas of big government." 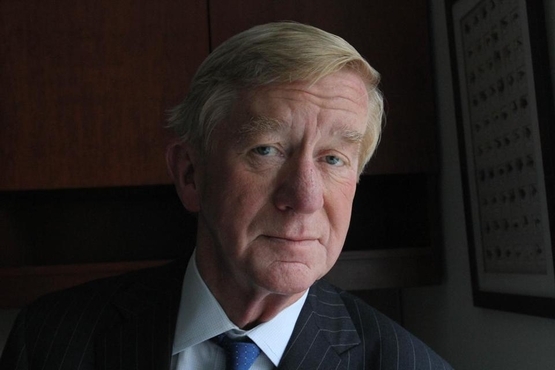 He committed himself to making state government better by making it smaller, cheaper, and more humble: "Sometimes the most helpful thing to do," Weld said, "is to get out of the way." I confess: I took him at his word. I was galvanized by Weld's vow to "blow up" and "knock down" unneeded agencies and outdated programs. I avidly anticipated the Great Downsizing he promised. I applauded as he pronounced Beacon Hill "rotten to the core" and pledged to carve $1 billion from the state budget. Alas, it never happened. Weld quickly went native. Spending soared, regulations proliferated, and the Legislature's "rotten" leaders became the governor's new best friends. The "failed dogmas of big government" remained as entrenched as ever. For Weld, I eventually realized, politics and government were merely entertainment, and nothing he said was to be taken too seriously. But if he's on the Libertarian Party's national ticket this November, I'll vote for him without a qualm. Weld confirmed last week that he is seeking to be the Libertarian nominee for vice president, joining forces with another former Republican governor, New Mexico's Gary Johnson. With Hillary Clinton and Donald Trump poised to be the two major-party presidential nominees, Weld said in a TV interview on Sunday, there is real "disquietude" in the electorate, and consequently a "real political opportunity" this year for a credible third-party ticket. Disquietude there certainly is. Clinton and Trump are perhaps the most widely detested presidential candidates ever to face each other in a general election, and polls routinely show voters wistfully yearning for a more appealing alternative. But the Libertarian Party has never attracted more than a sliver of support in the past, and this year isn't likely to be different. Johnson, the party's presidential nominee in 2012, drew just 1.2 million votes. Barring divine intervention, Johnson/Weld have no chance of outperforming the Clinton and Trump campaigns on Election Day. The Libertarian Party will choose its nominees at a convention this weekend, and in a Facebook post Weld makes the case for his candidacy. He highlights his early work in "fighting corruption, protecting taxpayers, and ending abuses by financial institutions," cites his fiscal record as governor of Massachusetts, and claims to have "fought hard to keep government out of citizens' personal and financial lives." He has always been a libertarian, Weld writes, and he has always regarded "The Constitution of Liberty" and "The Road to Serfdom" — two great works in defense of political freedom by the Nobel laureate Friedrich Hayek — as his personal "bibles." For #NeverTrump and #NeverHillary voters, the 2016 Libertarian candidates may be just the ticket. In truth, Weld is no libertarian crusader. As governor he was rarely willing to expend political capital in defense of the small-government principles he'd campaigned on. He has almost always been more accommodating toward liberal Democrats than toward libertarians, conservatives, or Republicans. In 2008, Weld didn't just endorse Barack Obama for president, he did so enthusiastically. On one infamous occasion, he even extolled Hillary Clinton's "rock-like integrity." But while Weld may be variable and quirky, and while Johnson's libertarian bona fides may be debatable, I would far rather see them in the White House than Trump or Clinton. For whatever their flaws, they aren't vulgar and ignorant demagogues like the Republicans' presumptive nominee, and they aren't deceitful, unprincipled money-grubbers like the Democrats' likely standard-bearer. In elevating Trump and Clinton, the two major parties proclaim their lack of interest in the character of their candidates. To my mind, that makes it all the more imperative to vote this year for a president and vice president whose decency no one doubts.